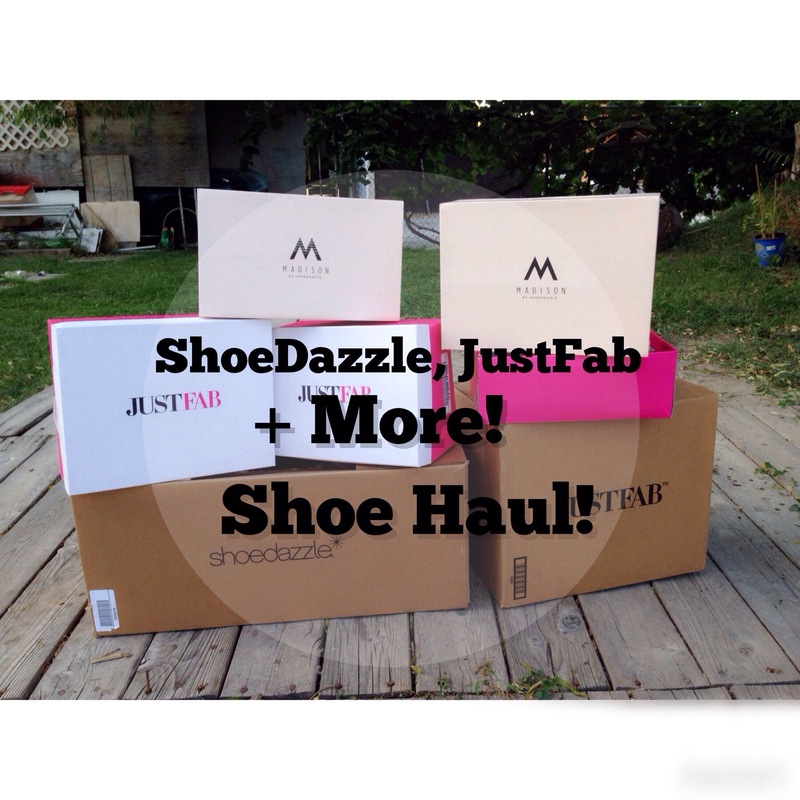 ShoeDazzle, JustFab + More Shoe HAUL! Happy 100th Post!!! I woke up to a WordPress notification that ModestlyHot has written 100 posts today! There isn’t anything else I’d rather do than to create content and share it with you guys!! Shoutout to all you faithful blog followers that keep sticking with me (even though I ramble at times lol)! A standing ovation to all of you! So Saturdays are meant for shopping right ladies? And by shopping I totally mean online shopping! No waiting in lines, sore feet, or spending more money than anticipated! 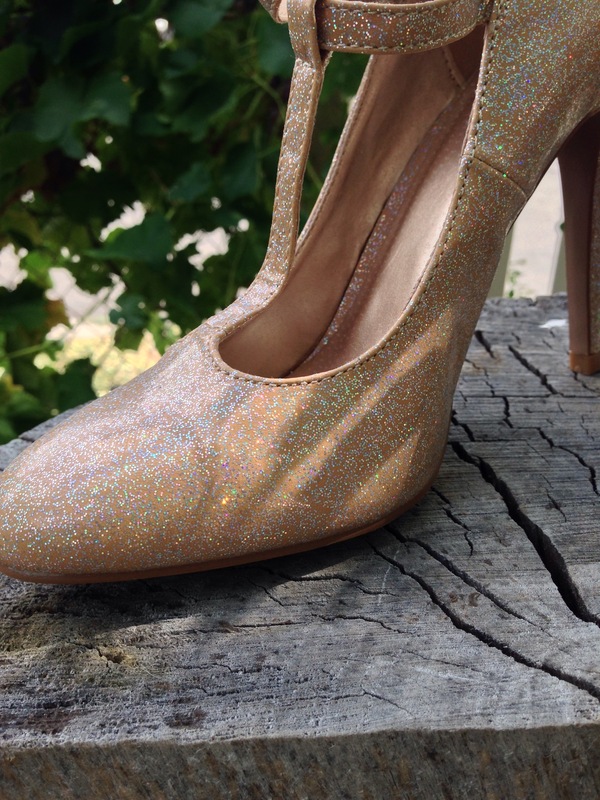 So without further ado, let’s get on with the shoes!! All the shoes were on clearance for just $5.99!!! 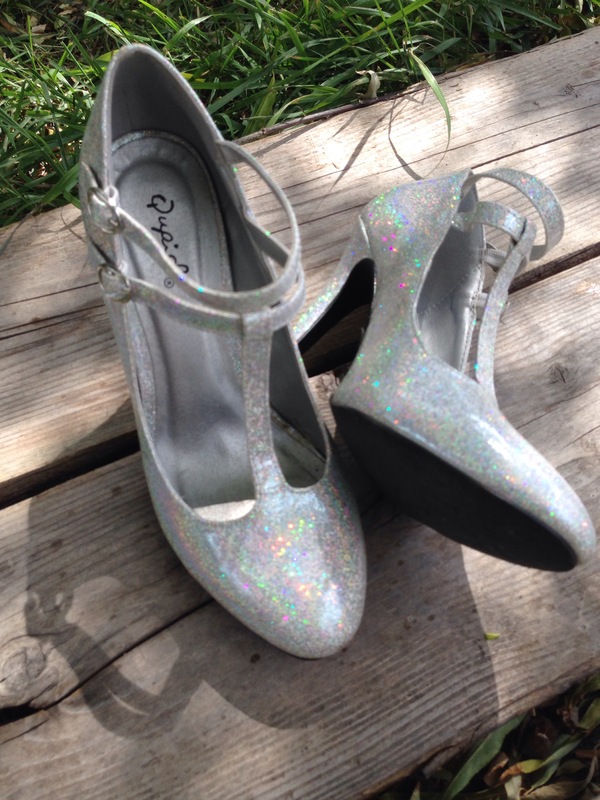 Immediately I gasped and said, ”CINDERELLA SHOES!” They have a gorgeous double t-strap heels with these cool glitter holographic print all over the shoes! I couldn’t resist picking up the gold pair as well! Can you say Valentino?! 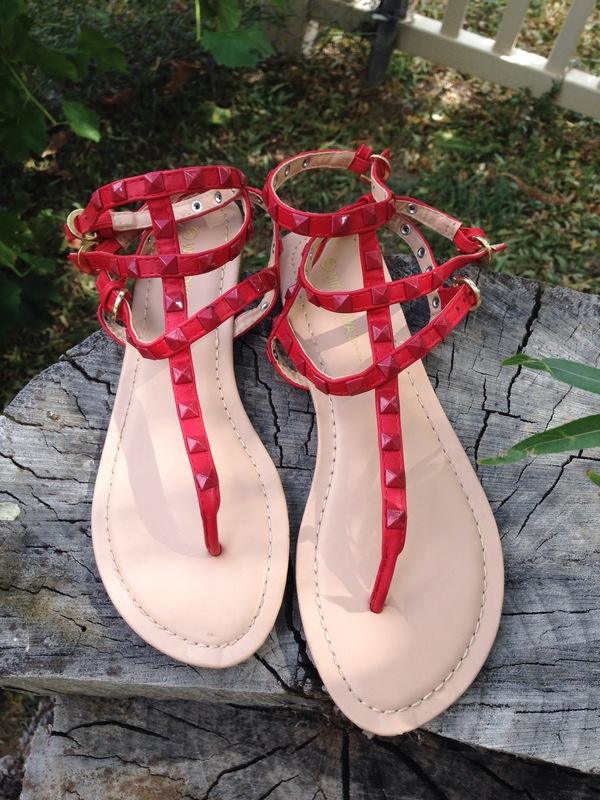 I love these rockstud sandals that very much resemble Valentino! 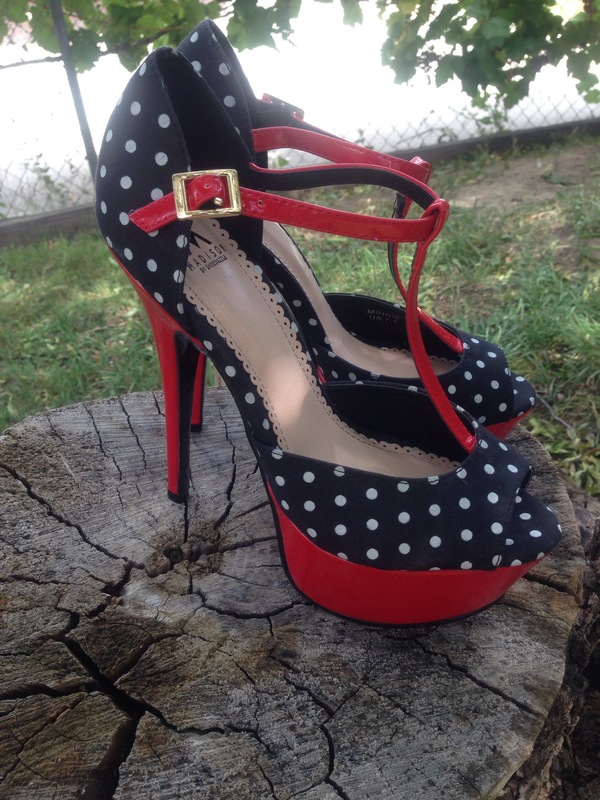 I fell in love with the red stud details, and the vibrant color! Now onto the online purchases!! 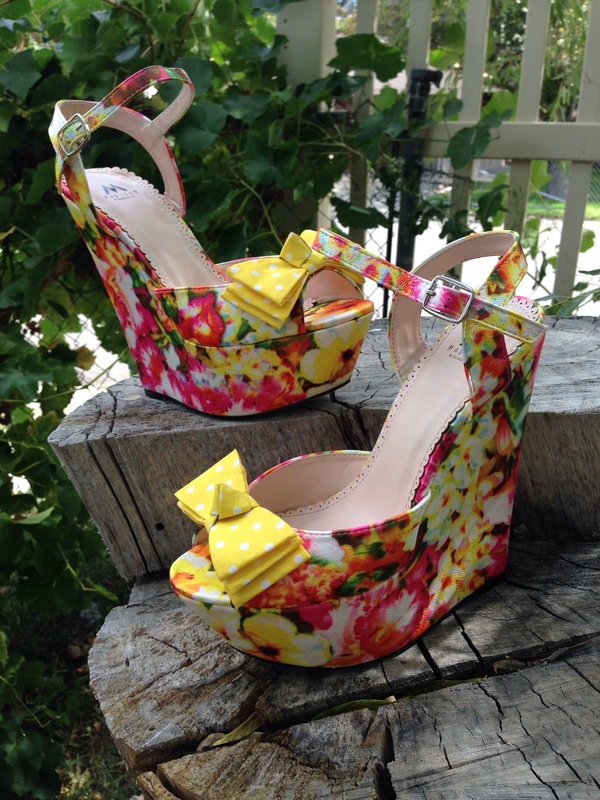 Let’s start with ShoeDazzle ! They kind of remind me of Kate Middleton or Princess Diana! 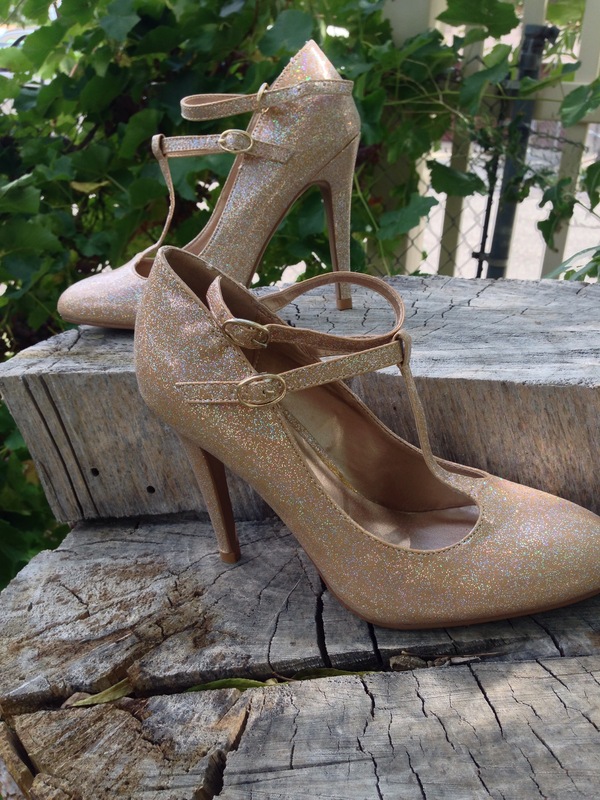 The style of these shoes are the ”Lennox” style and is everything you’d want for a special occasion! Hello Gorgeous! 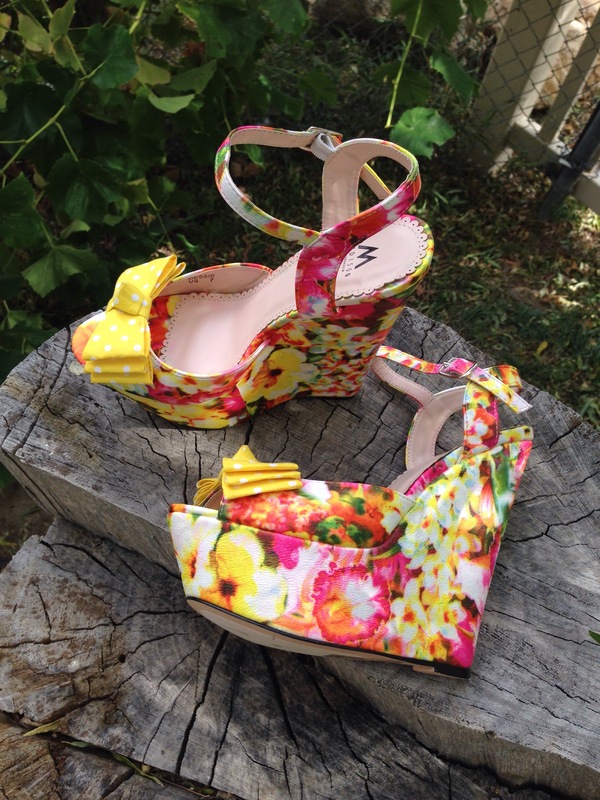 I was beyond thrilled when I opened up the pink ShoeDazzle box and saw these adorable spring wedges!! 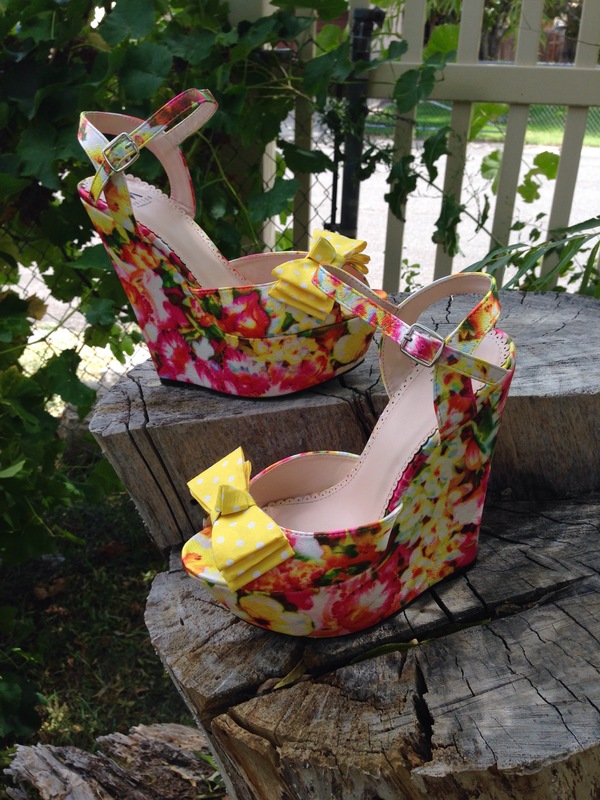 I am not a huge fan of wedges, but I couldn’t resist these beauties! Okay guys Think FAST! 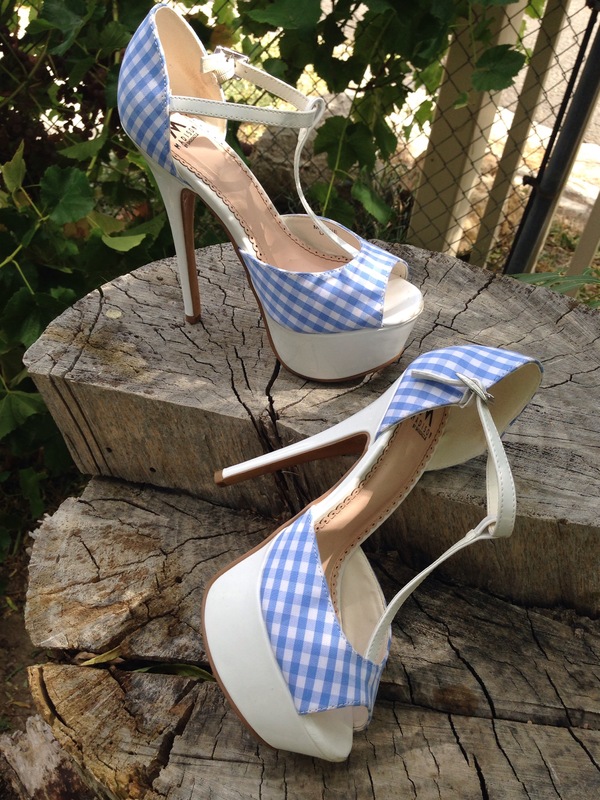 What do these heels remind you of? You are totally spot on! 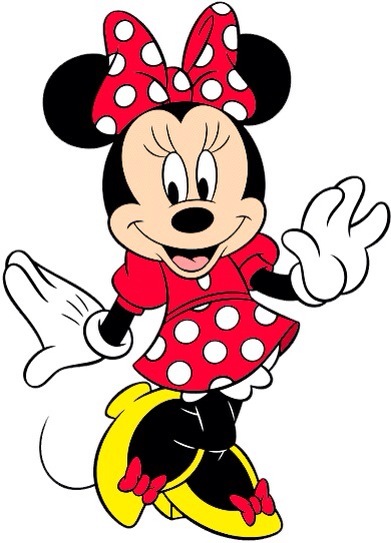 And they’re actually called the ”Minnie” on Shoedazzle’s site! 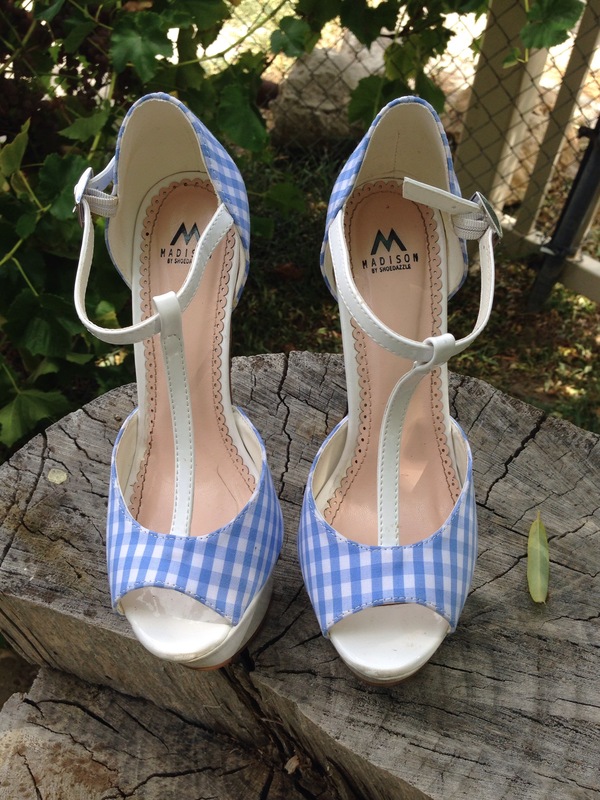 I also picked up another pair of the ”Minnie” shoe in a soft baby blue gingham print! 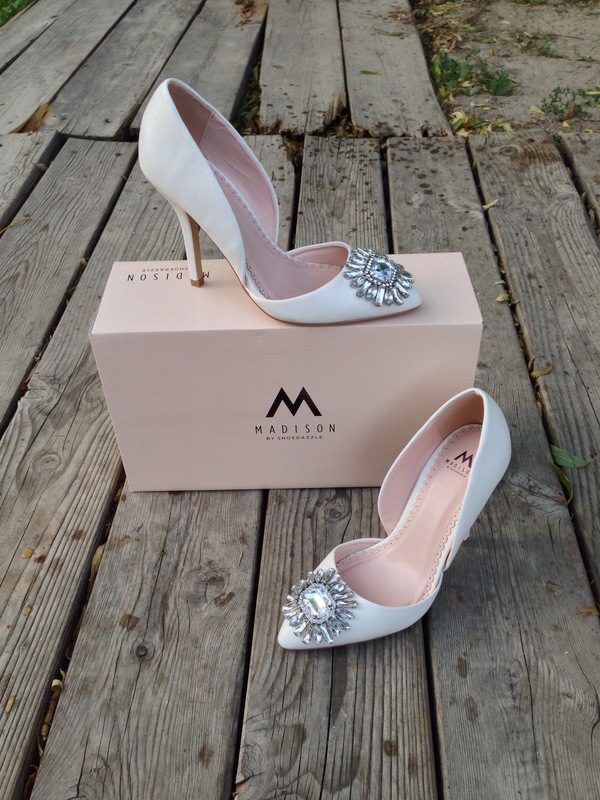 To make the deal even sweeter you can get ShoeDazzle heels for 75%OFF using my personal referral link below! 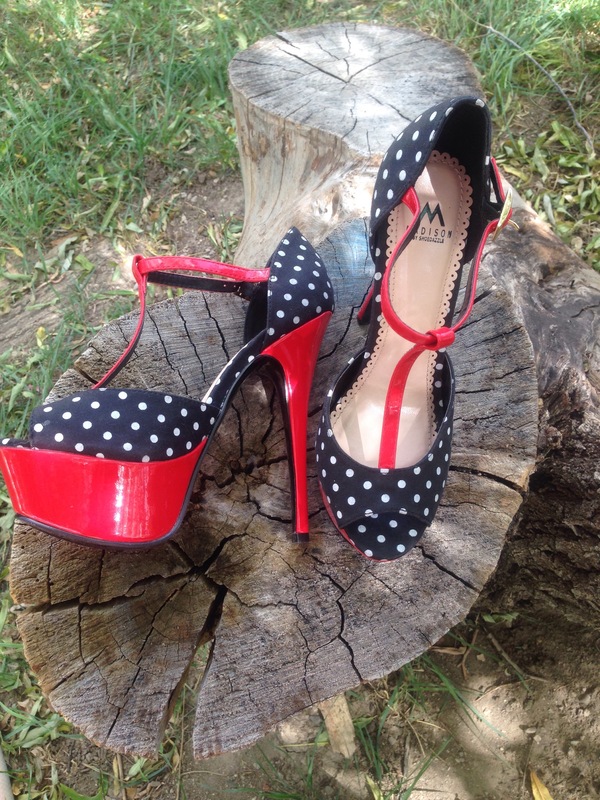 Get 75% OFF ShoeDazzle Heels Here! 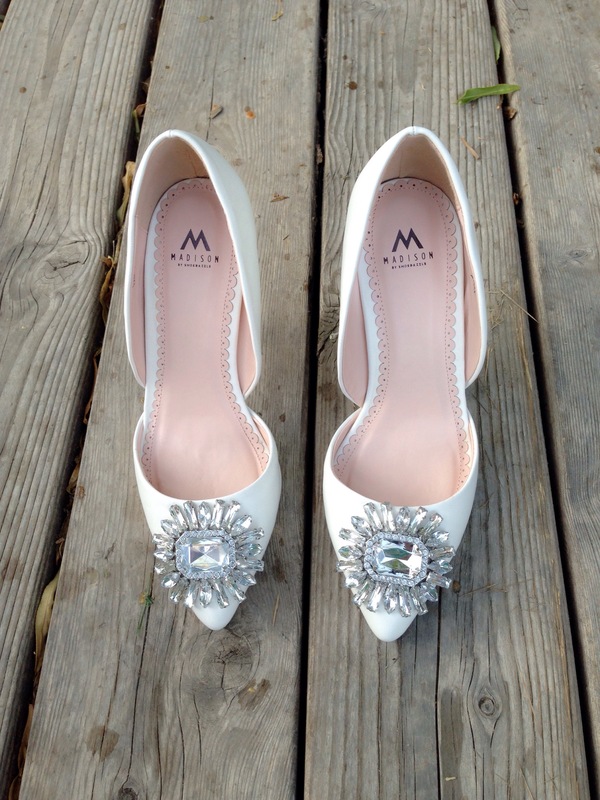 These are some more of my shoe picks which I have yet to receive in the mail! So these sandals are 1000X better than this picture will ever show! I got them from Just Fab at their End of Summer Clearance Sale a month ago and let me tell you that these were the smartest purchase yet! They go with everything! If ya’ll follow me on Instagram then you guys know that these beauties have been on replay constantly in my outfits! The color is what got me! I have a soft spot (more like weakness) for anything cognac colored! 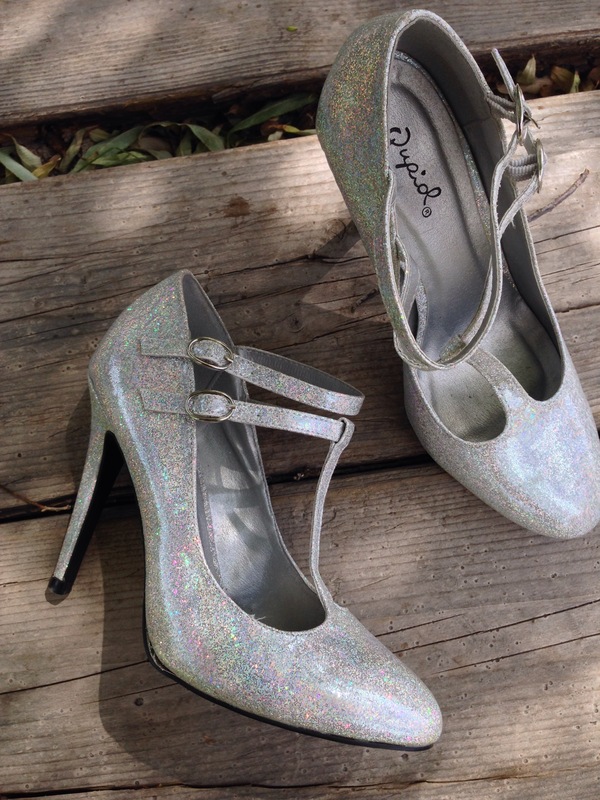 You guys can get 50% OFF JustFab Shoes by also checking out my personal referral link below! 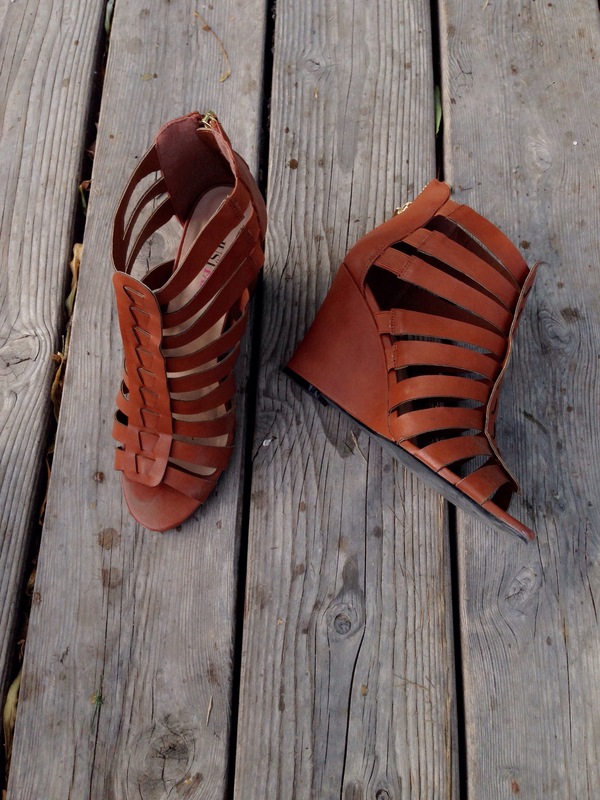 Get 50% OFF JustFab Shoes! Well that wraps up today’s post!! Hope you all have a blessed day! Just a heads up on an amazing sale Just Fab is having for just 3 days only!! 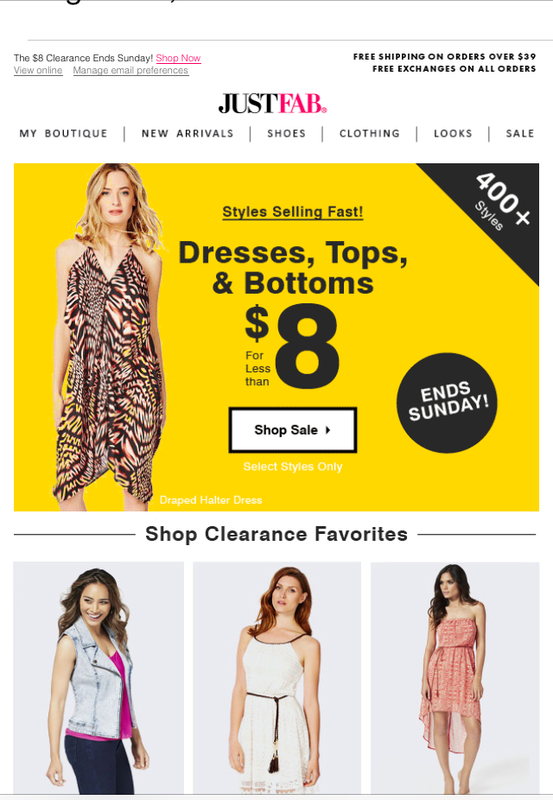 I received an email from JustFab about their End of Summer Clearance Sale and I couldn’t resist to take a peek! I mean Just fab under $10?!! What? Unreal. So here are some of my favorite fashion picks from Just Fab! These shoes! !😍😍😍🙌 Aah! I scored them for under $10! They are the “Belen” style sandals and how cute are they?!! The color is cognac is so boho chic! Gasp!! I couldn’t resist all these Fab sales! 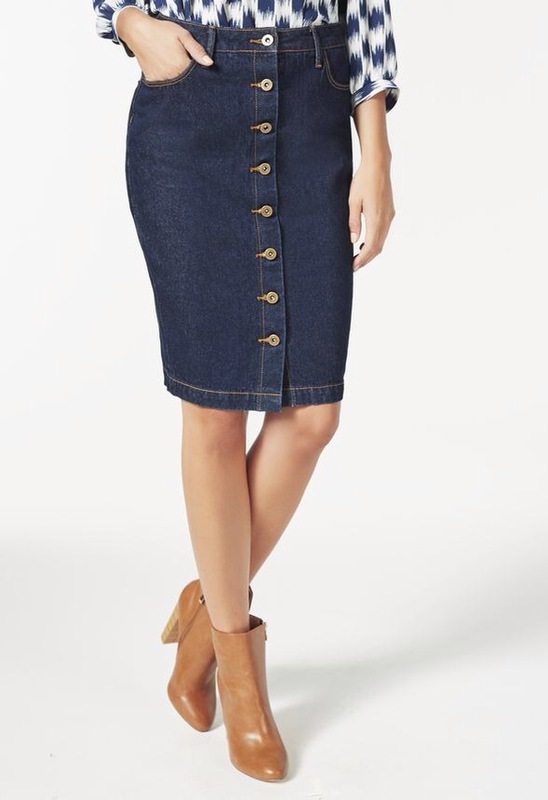 The next item I bought was a gorgeous jean skirt with button detailing all the way down! I love love skirts with buttons in the front! I’m not really a fab of jean skirts but this one was the exception! To make the deals even sweeter, You can score items from JustFab for 50% OFF when you sign up with my personal referral link below! End of Summer Clearance Sale!! Don’t miss out in these Fabulous deals and steals!! I can’t wait to receive my order!! UPDATE : I just got an email that my order has shipped!🙌 😂 say whaaaa? I just ordered an hour ago! Yellow & Gold Polka Dot Skirt Outfit! + Blogger Market Haul! 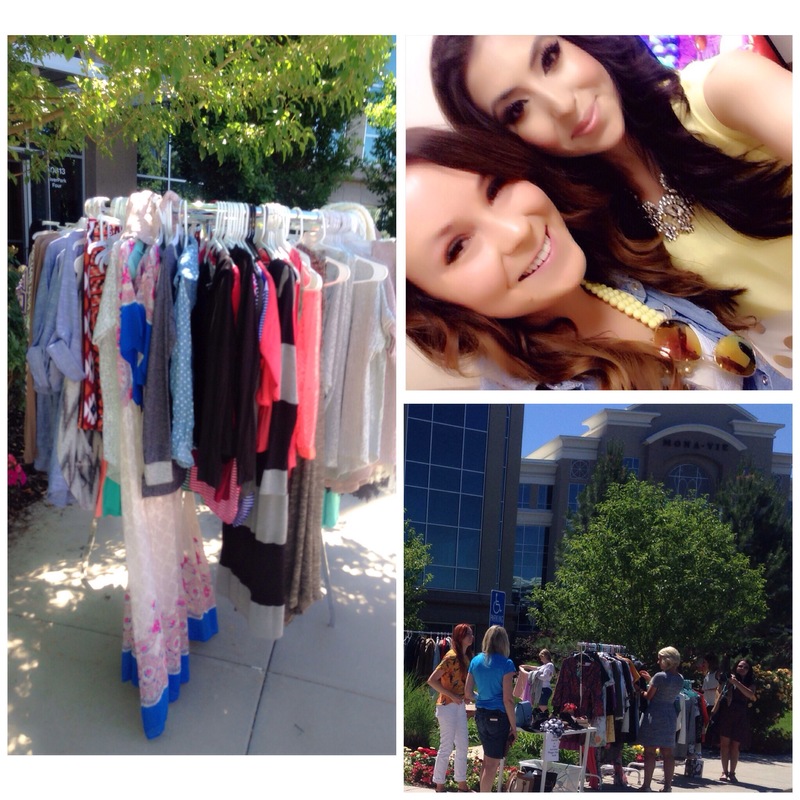 The weather is finally hot and I mean really hot, perfect weather for a blogger market shopping trip! 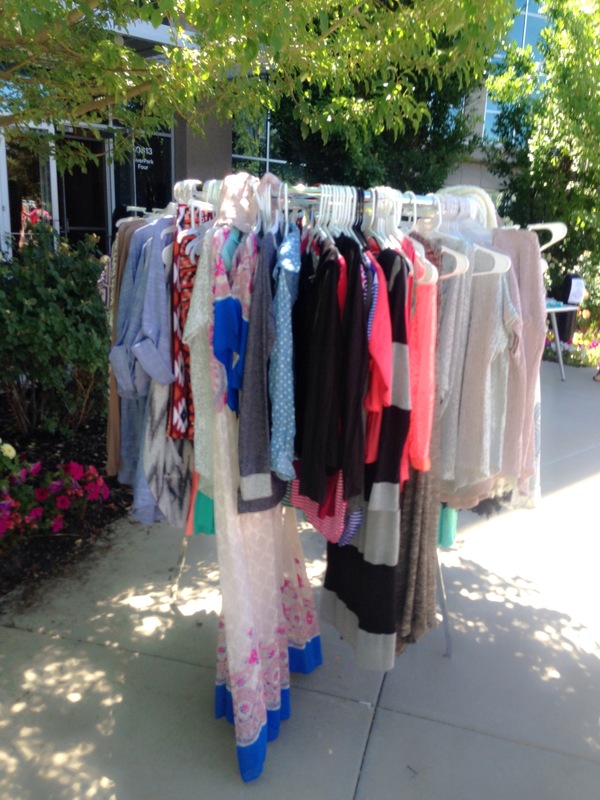 Eleventh Avenue hosted today a blogger ”flea market” basically what it is, is a bunch of top fashion bloggers selling their fabulous wardrobe for ridiculously low prices! I went with my super stylish blogger friend Keara from Modest Style! The deals we scored were unreal! My very first purchase was from Jackie Welling from Little J Style! 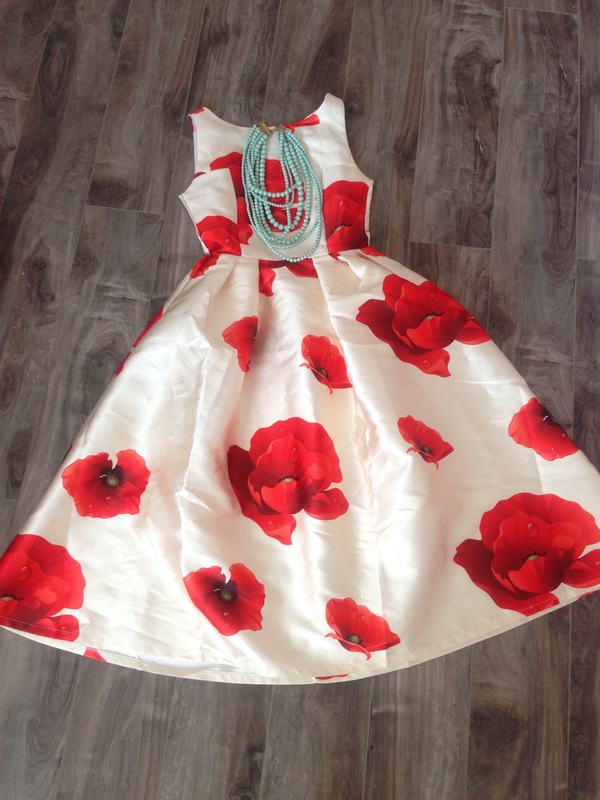 This gorgeous Chic Wish Poppy Dress! I was so excited to see it hanging there because I was literally going to order it online! 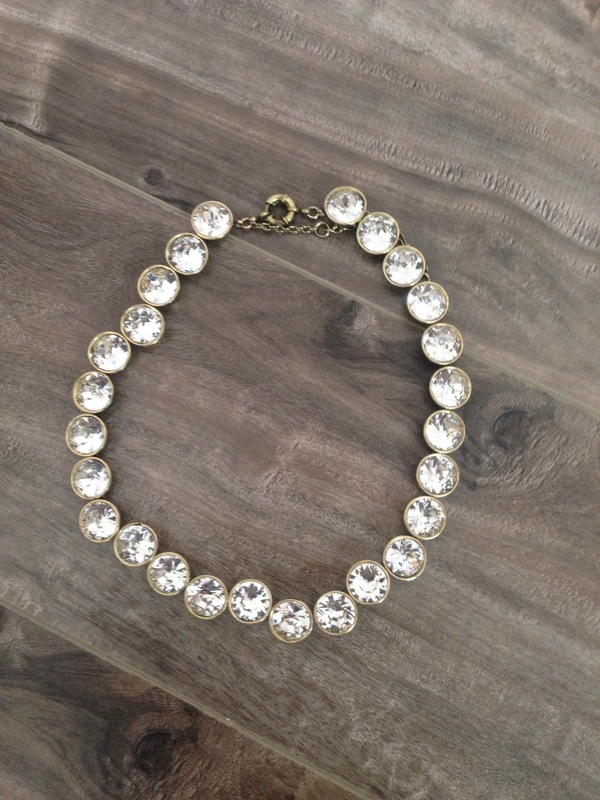 I also picked up a mint 5 strand pearl necklace for just $4! So the next item is by far the BEST DEAL OF THE DAY!! 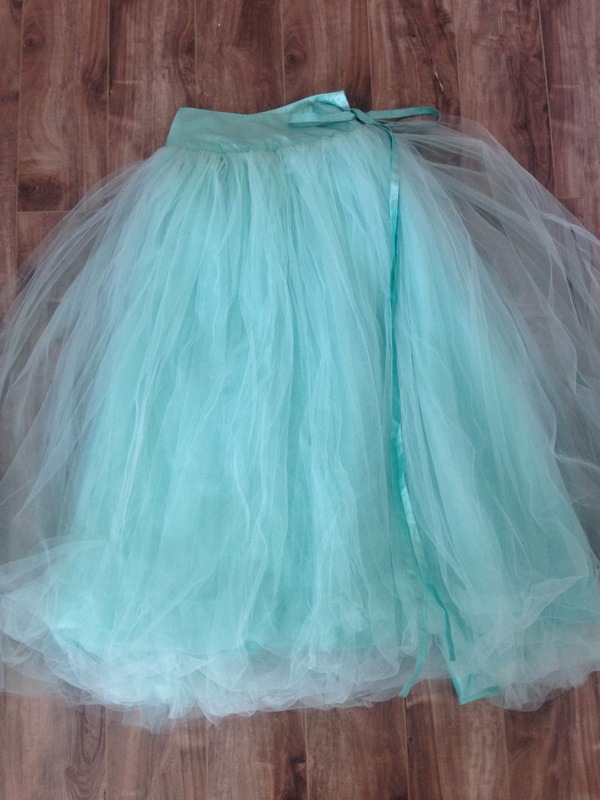 I saw this gorgeous mint tulle Shabby Apple Skirt and didn’t pick it up immediately because honestly I thought it would be about $50-60 still a good deal even at that price considering its original price of $128.00!! I finally decided to ask what the price was and my jaw dropped to the floor as she stated it was only $20!! I’m sorry what?! I was just about to purchase this skirt for $128 at Shabby Apple last Saturday and she says its only $20!? Oh Happy Day! My next item was a J. 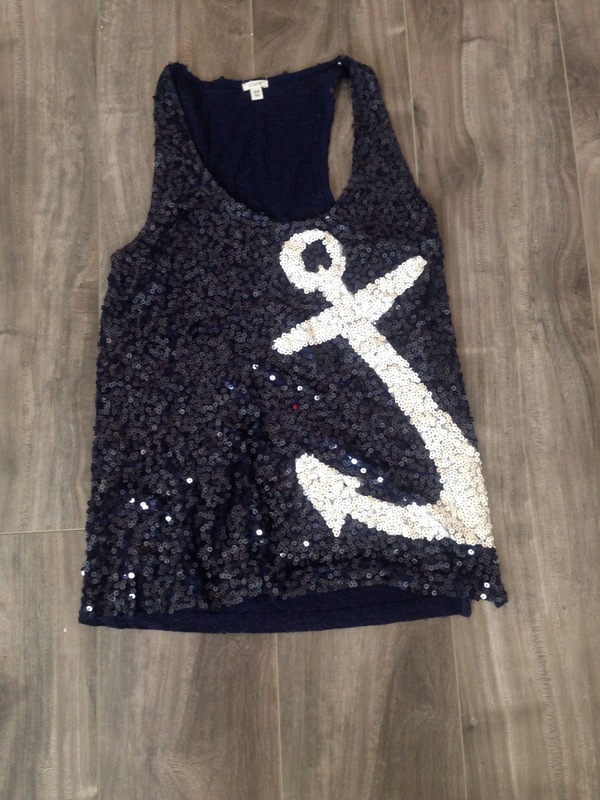 Crew Sequin Anchor tank for just $2!! I mean these prices were better than the thrift store!! Also I bought an Asos peplum waist belt for just $1! I’ve always wanted a peplum waist belt and I’m so glad to have found it at a steal! Let’s talk about jewelry you guys!! This was my favorite spot to hit up, just good ol’ digging out jewelry out of a cardboard box! 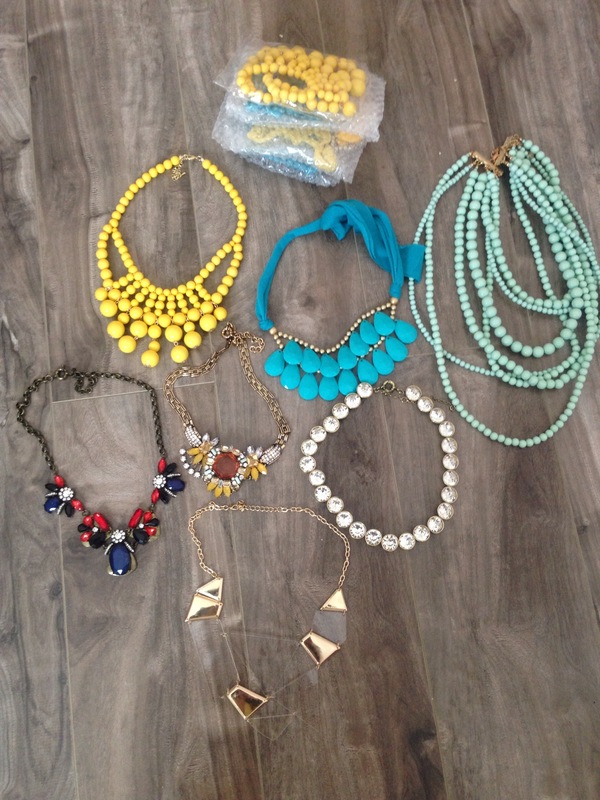 All statement jewelry was just $1!! Yes please! I’m always breaking my fashion jewelry so I try to get deals on jewelry and keep it under $10! This one is my favorite!! Perfect for dressing up that little white tee! Yellow and polkadots!! Now I know I do not need anymore polka dot skirts but I just couldn’t help myself!! Kingdom and State was having an amazing sale of all their clothing! Now I’ve saved the best for last!! Okay you guys guess how much I paid for this gorgeous sequin mermaid skirt?!! Keara and I bought matching sequin skirts and look forward on styling them for you guys!! So that does it for my blogger market haul!! 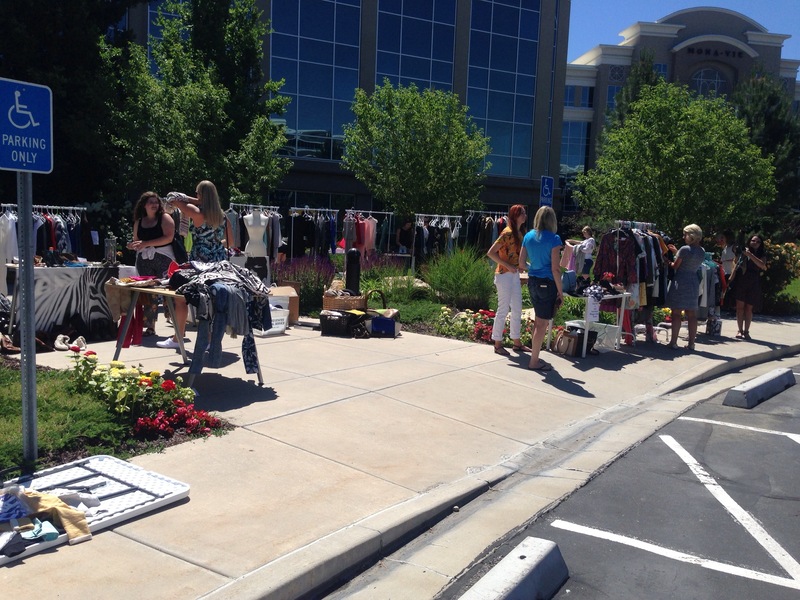 Great Deals and I want to go to another one asap!! What I wore today had to be fairly comfortable but still cute! I am IN LOVE with this gold polka dot pencil skirt from the Hemline Mom! I missed out on this skirt last time on Jane.com and I wasn’t going to let it go by again! I wore it with a yellow blouse from Ross! Can we just say that Ross has the best solid colored tops ever and cheap too!